This is the September 2018 entry of Metagame Build Orders. First, let me tell you my excuses for not posting a MBO last month or earlier this month. 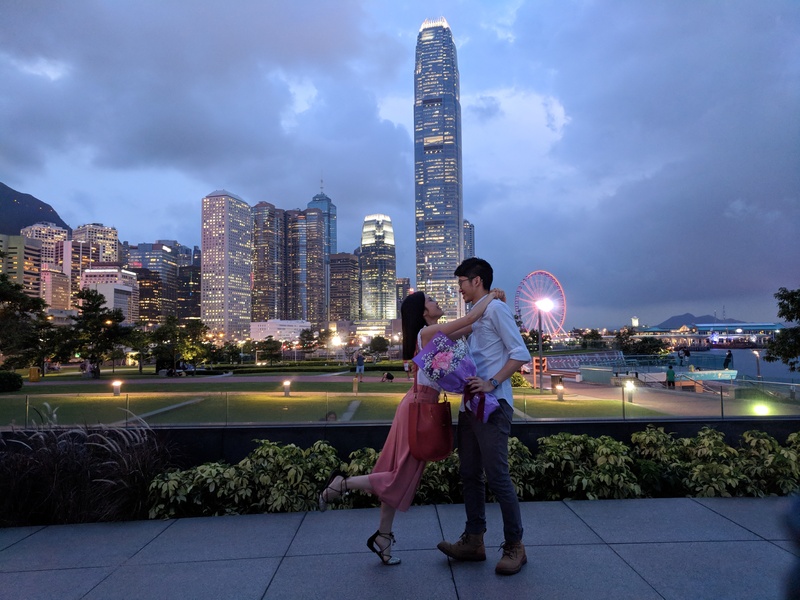 I was moving from Sydney to Singapore, and my girlfriend’s parents were visiting me from Hong Kong. I spent my remaining time on the last two TvP articles and another piece regarding the balance revamp announced by Blizzard. They just announced another update on the balance revamp today, so I have to edit my draft again (soon~). I know the main audience of MBO prefer builds that are easy to understand and apply on ladder, but I want to give this entry a little flavor. All the builds here are proxy! Proxy is the in thing to do nowadays. People often misunderstood proxy as an all-in cheese, but in fact it is to gain an advantage in the early game as you transition to the mid game. To execute it well, players have to be very knowledgeable in many aspects of the game and are able to make decisions on the fly. Thus, I narrow down the three proxy builds in this post to something more manageable. I have written about the TvP proxy builds extensively in my last article. The build order I list below is a Reactor Cyclone opening into Widow Mine or Hellion drop in the main. This is in my opinion the best variation for non-professional players to adopt. It has a clear structure, and the threat is strong. The initial proxy location should not be the usual proxy location for Reaper, because those locations get scouted early and this is detrimental to produce your first pair of Cyclones. It is okay for Protoss to scout your Barracks and Factory as long as they cannot prevent the first two Cyclones to come out. The Scv that builds the proxy Factory should move to the planned proxy location of the Starport after the Factory is completed. Apply pressure with the first two Cyclones but do not risk losing even one. One or two Scv should be sent out to repair the Cyclones. The Cyclones are to pose a threat that you may have more Cyclones to follow up for a frontal attack, and this forces Protoss to invest resources and attention at the natural to defend. In the meantime, you load up a Medivac of Hellions or Widows to attack opponent’s main base (simultaneously attack with the two Cyclones at the natural). The Barracks should fly home when the Reactor is completed. I recommend building a pair of Cyclones after the 4x Hellion/Widow Mine, as they can be useful for defending while your buildings are in the air. A Liberator is a good follow up option after the Medivac to gain value from the proxy Starport. Put down a Command Centre when you have 400 mineral, and you can transition to a normal game. Proxy two Barracks Reaper is the most common proxy build in TvT. There are some variations to the proxy two Barracks Reaper, but I will only focus on one here. You can look at the recent GSL finals between Maru and TY for some examples. Stop Reaper production when opponent has two to three Factory units. Lift one Barracks home and use the other to scout opponent’s main. The Reaper should continue pose threat by poking the front, so opponent cannot just send her or his units across. Transition to a standard game by building a Command Centre when you can afford to. Proxy Barracks Marines is the most common proxy variation for TvZ, and the number of Barracks you proxy determines what you need to accomplish in the early game. When you proxy two Barracks, you aim to force Zerglings and Spine Crawlers then you transition. When you proxy three Barracks, you aim to kill the Hatchery or contain Zerg by having a wall of Bunkers at the natural. When you proxy four Barracks, you aim to kill Zerg by going to the main. From Zerg’s perspective, one of biggest challenges against proxy Barracks in TvZ is that they do not know how many Barracks Terran proxy. Proxy two or three Barracks is more common than four Barracks, so Zerg sometimes are not prepared for the four Barracks all-in with Scv pull. Below is the build order for four Barracks proxy. There is no transition from this. Pull Scvs for the all-in. Commence the attack when the four Barracks completes. You need to send three Scvs to proxy the first three Barracks, then use the Scv that built the first Barracks for the fourth Barracks. Oh yes, someone has just been promoted from Girlfriend 1 to Fiancée 3. It took her seven years to move from Girlfriend 3 to Fiancée 3. She has to work her way to Wife 3 now. Good stuff as always. Don’t see a lot of proxy rax vs zerg though. Thanks guys! My fiancee and I are really thrilled. Should the TvT build start with 13 depot instead of 14? It looks like that’s what Maru did in the linked VOD, and the timing works out better in my own experiments. After taking a closer look at the timing of the Scv in production, I think you are spot on. The number is edited. Thanks.